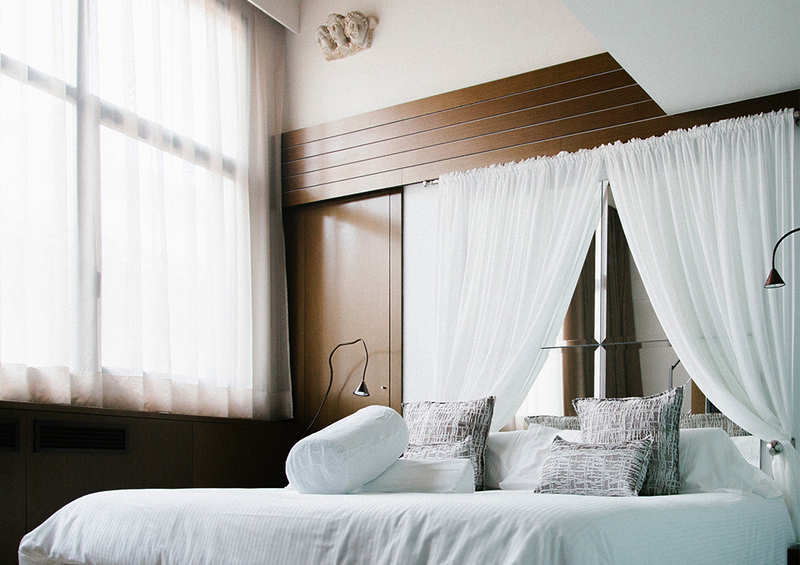 Hotel Museum Llegendes de Girona is situated in the middle of the old town of Girona City with more than 2000 years of history, right next to the Basilica de Sant Feliu, the Cathedral, the Arab Baths, the river and Girona wall. The building of the hotel is an ancient jewel, where according to the tradition between 304-307 AD lived Narcis, bishop, martyr, saint and patron of Girona City. Our brainchild helps couples to reconnect in their relationships and come back to the times when they just met, to feel desire to seduce each other again. 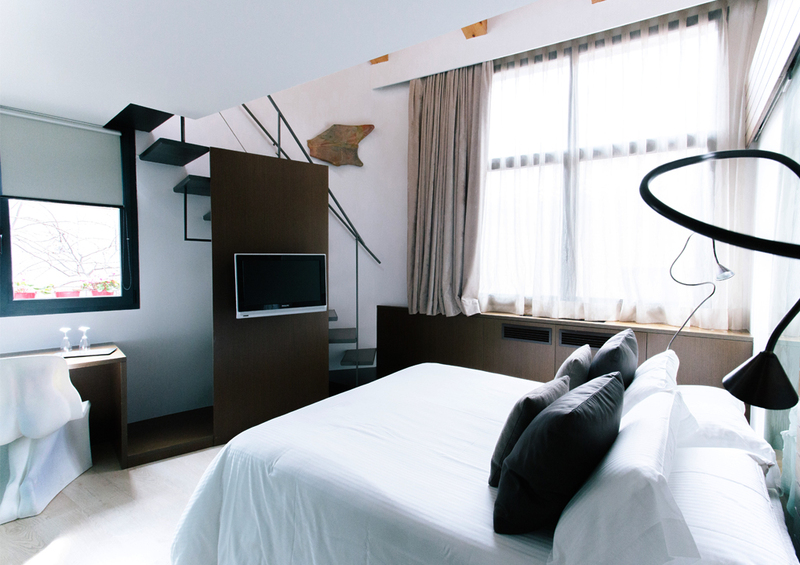 10 double rooms with a window each of which immerses into a different legend and gives new feelings. 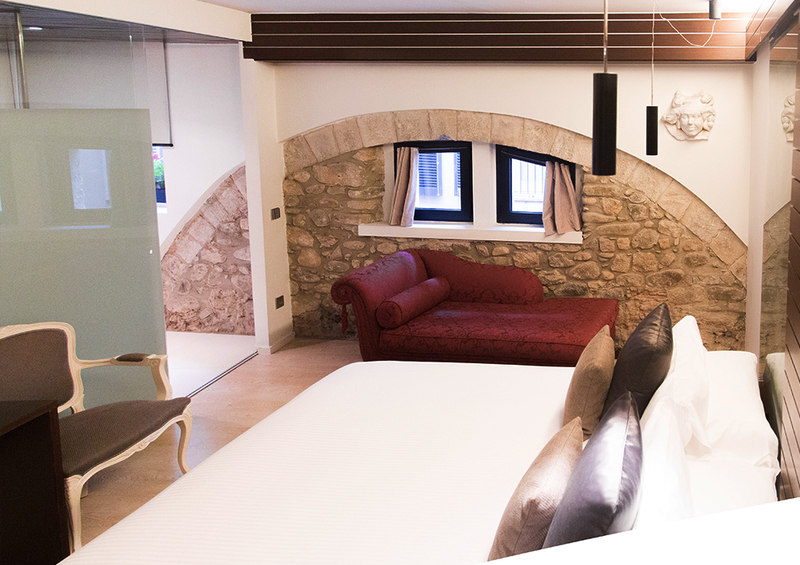 Whether you are traveling with your couple or with your family, the Junior Suite Duplex of the Hotel Llegendes Museum is a perfect setting to enjoy Girona. Try out the new tantric experiences in our suite, as if the god Eros himself instructed you! Reach the apogee of love! 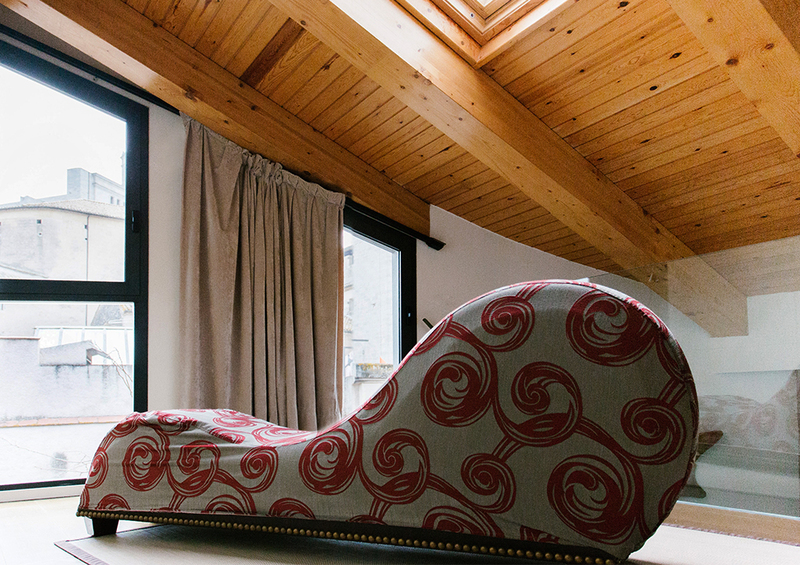 The atmosphere in this suite will help you discover your most hidden fantasies. To introduce our guests to the history and legends of the city we published a book that collects original legends from various places in the Girona region and Girona city, named 42 Magical Stories ‘Legends of Girona’ by Nuri Ros Rué. The book is accompanied by a map of the legends that allows to follow an interesting legendary route around the little streets of the old town of Girona. You can purchase it at the hotel reception or in the city libraries in Catalan, Spanish, English, French or German. We also have the book 42 Magical Stories ‘Legends of Girona’ in BRAILLE alphabet.